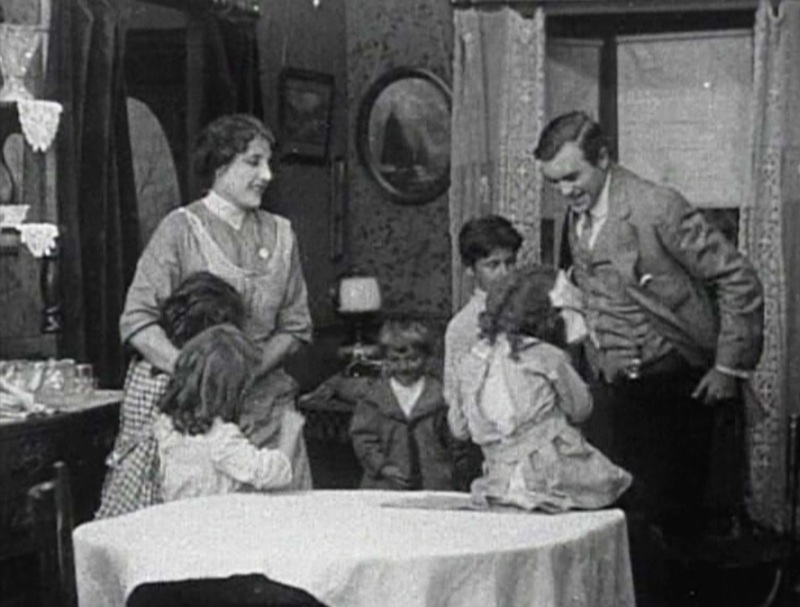 The movie begins by establishing the two neighboring resident-families of a duplex. On one side is a poor but happy family with a lot of children. On the other, a grizzled old man and his wife. The old man gets angry when the children play on his side of the back yard, or play with his dog. 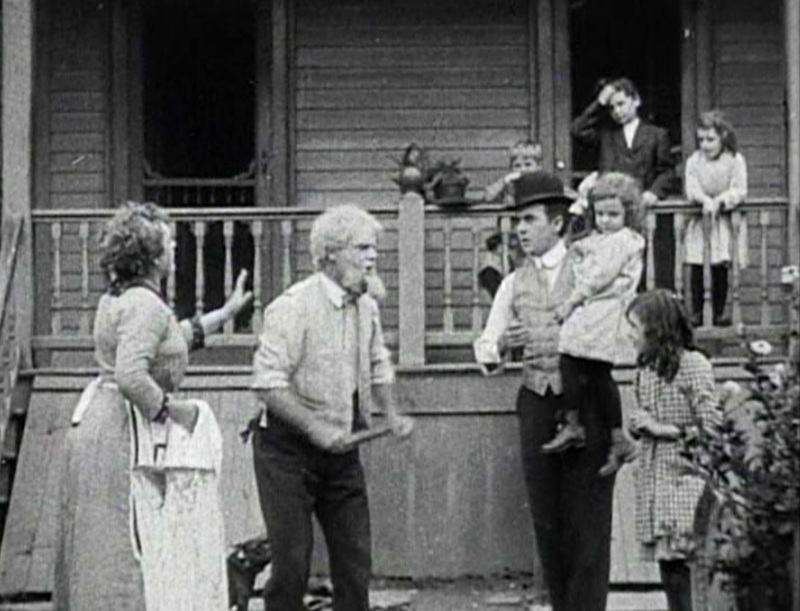 The poor family puts up with his abuse and remains positive. One day, a grocery order for the old couple is delivered to the family by accident. The mother cooks up the roast before the mistake is discovered, and when they offer to return the food, the old man refuses on principle. The wedge grows still deeper when the old man finds his dog dead. On Christmas Eve, the family is doing its best to celebrate with the means available, although the children must share a doll and there is no bird for the dinner. The old man is returning from the store with a turkey, but is driven, snowblind, into the wrong apartment. He is welcomed by the family as a guest, and they invite him and his wife to dinner. Embarrassed, he offers them the turkey and is charmed by a gift from the eldest girl. I don’t usually worry about “spoilers,” but I’m leaving that final moment a bit vague because the gift from the child is the emotional “punch” that makes this movie work. If you can watch it without even a few tears…well, you have more emotional control than I do anymore. 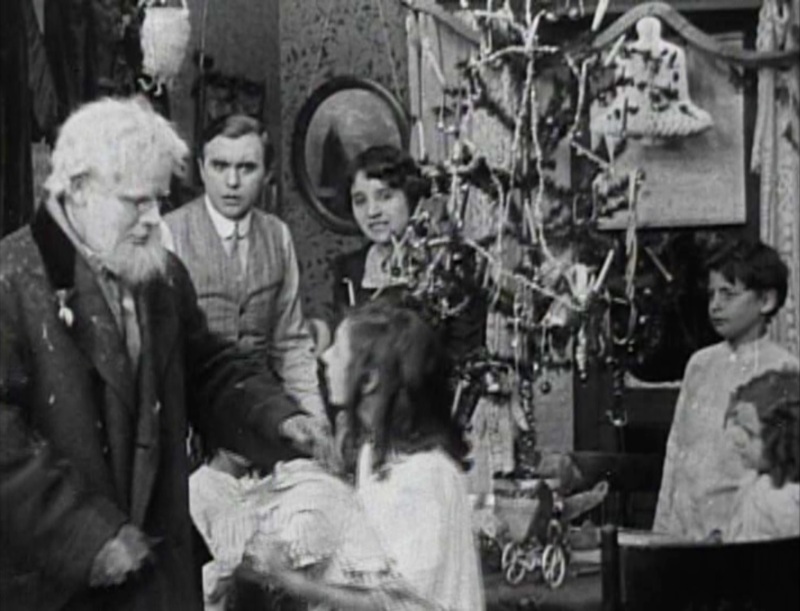 There seems to be some dispute about who directed: the “A Christmas Past” DVD credits Bannister Merwin and imdb and other online sources say it was Harold M. Shaw. Since Edison didn’t credit its directors at all at the time, this may be uncertain. The film is fairly typical – sequential editing, stationary camera, all done in medium-shot, etc. A final close-up allows us to read the note on a Christmas gift, but there are no faces shown in close-up, even where it would accent emotional situations. I did think it was an interesting (today untypical) choice to have the connection made between the mean old man and the eldest daughter, rather than the smallest and cutest available child. This may reflect a more realistic attitude or just the difficulty of getting small children to perform on cue.